Welcome to your next big adventure! Sound Improv is a unique approach to improvisational theater created by Domeka Parker and the Sound Improv Retreat is an annual intensive training opportunity offered to actors and improvisers ready to level up their skill, broaden their performance horizons and soak in the beauty and majesty of The Puget Sound. 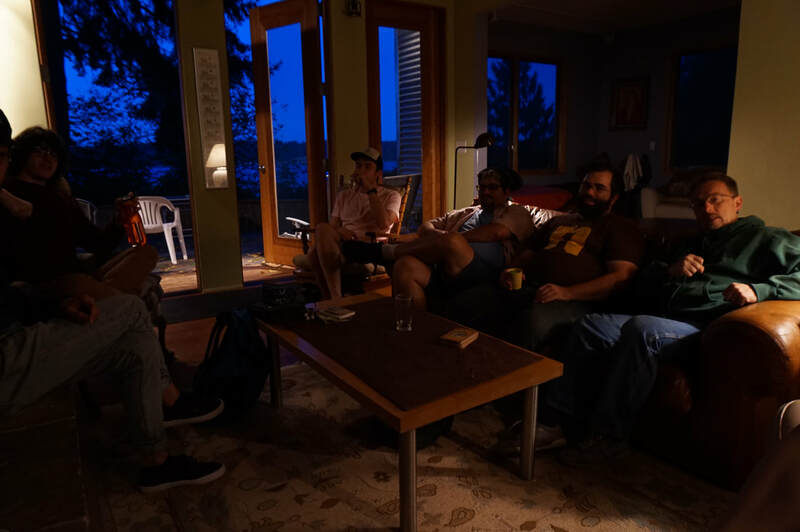 Since 2013 The Sound Improv Retreat has welcomed, engaged, entertained and educated improvisers from around the world and this year, we are excited to meet YOU! 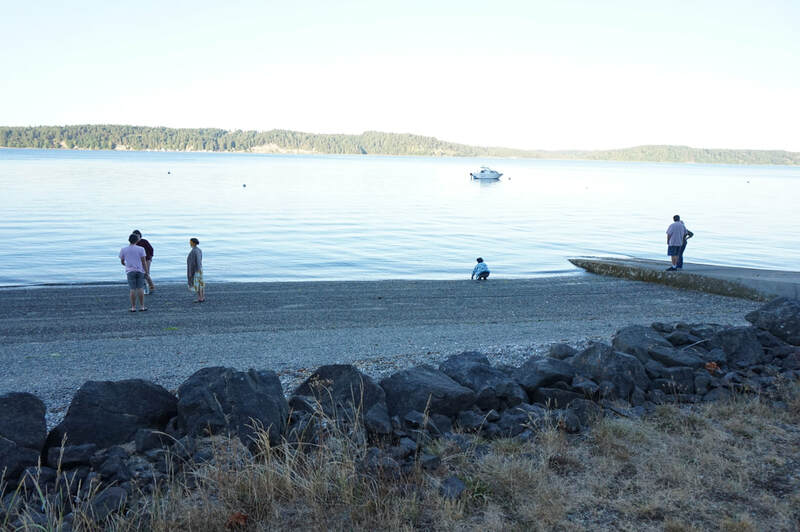 This years Sound Improv Retreat takes place Thursday August 22nd through Sunday August 25th. 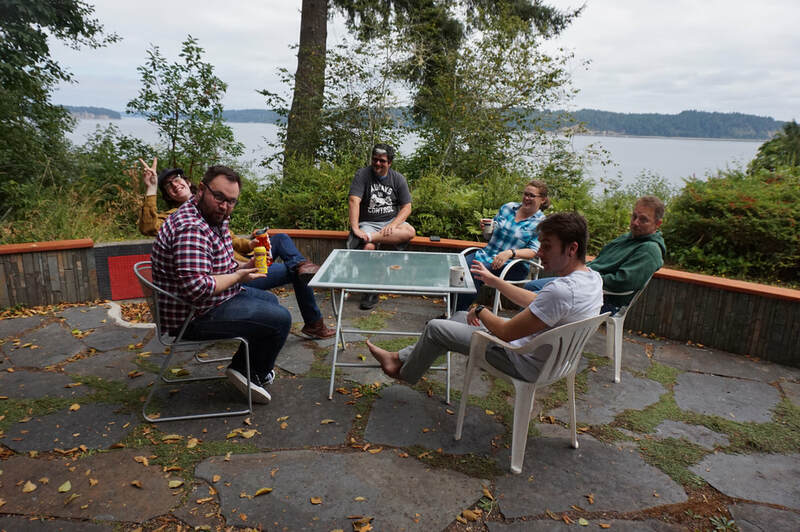 Improvisers are lodged in a beautiful cliff side house on Harstine Island in Washington State. You read that right, I said ISLAND! Meals are provided Thursday night, Friday and Saturday breakfast, lunch, dinner and Sunday breakfast. Sunday - 10:00 a.m. to 1:00 p.m.
Payment plans are available and in some cases we can offer a sliding scale. 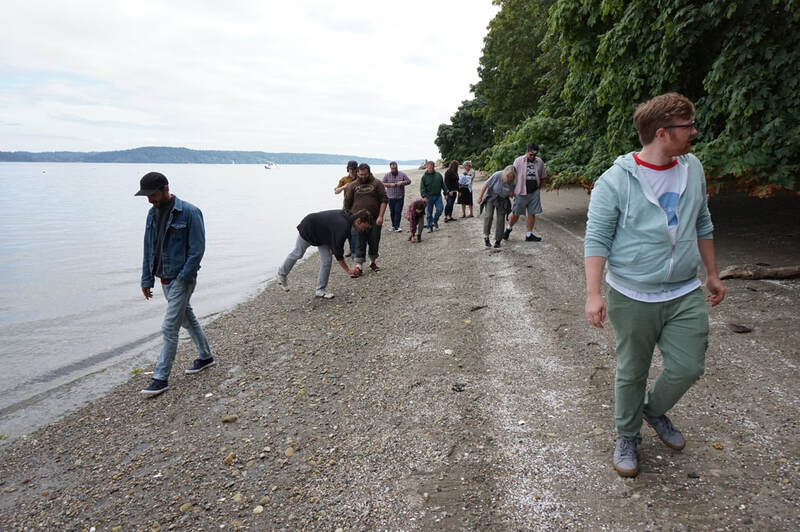 Improvisers arrive from all directions, flying into Sea-Tac Airport in Seattle and taking a ferry across the Sound, or driving up from Portland, down from Canada...etc. When you arrive to the house there is a hustle and bustle of getting things into rooms and meeting new people. By 6:00 p.m. we have all arrived and dinner is served. During the registration process we will touch base with you on any dietary needs you may have and always offer vegetarian options. During dinner we meet one another more officially and receive information about the weekend ahead of us. After dinner we settle in, getting to know each other, becoming more and more comfortable, sitting in front of the fire, in or outside depending on the weather, have beers or soda and laugh A LOT! Breakfast is served around 9:15 a.m. We either sit together or find a quiet nook to enjoy our meal as we wake up and dig into the day. Training begins at 10 a.m. and goes until 1:00 p.m. when lunch is served. Training consists of exercises designed by Domeka to introduce you to the philosophy and practice of Sound Improv. The training is fun and intensive. The first day of training gets us into the swing of a new vocabulary, a new approach and a new group of people to play with. After lunch on day one we dig right back into training until dinner is served at 6:00 p.m. After dinner we hang out, play games, go on night walks, have a fire on the veranda, (depending on weather)...etc. Day three resembles day two except that we do some training outside (depending on weather) and we dig into some unconventional approaches to collaborative creativity such as playing with LEGOS in the afternoon. All training is lead by Domeka Parker and works efficiently and effectively to strengthen your skills as a performer. In the late afternoon of day three we dig into some performance work that inspires and pushes us. After dinner we make gourmet SMORE'S together an then have total freedom and down time. Often people dig into board games together on this night and stay up way too late. On day four we eat our final meal together and we assemble the lessons of the weekend through performance work, play and a few final exercises, feed back and goal setting. Around 1:00 p.m. we collect up our things, say our good byes and head off into the world inspired, and generally very tired. Please send a letter of interest (a simple email) directly to Domeka expressing your desire to register and you and she can arrange your deposit (non-refundable $75), discuss you're needs regarding payment plans, travel or official documents needed for international guests, and once your deposit is in you'll receive an official welcome letter with all the information you'll need. We're grateful for your interest and can't wait to see you!